The GT-R has had a mascot for a while , Godzilla. 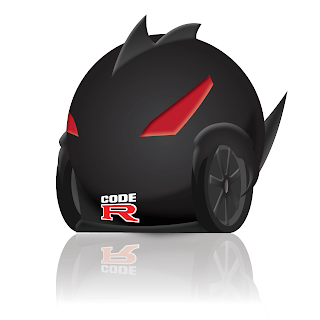 This graphic designed David Ramesar has come up with a concept mascot for the new Nissan GT-R.
Gozilla. Although Godzilla is agressively trademarked. I read an article the other day about how the company that owns the trademark, sues everyone and anyone using the likeness. Uh, what is different with this and "myfast" from the VW ads?